I was taking photos for work last week and ended up with this outtake -- I stripped most of the color from the image in Lightroom. Click above to see larger. It was actually quite a lovely late afternoon. But I like the various shades of gray in the Arroyo Seco flood control channel, bridge, train and sky. 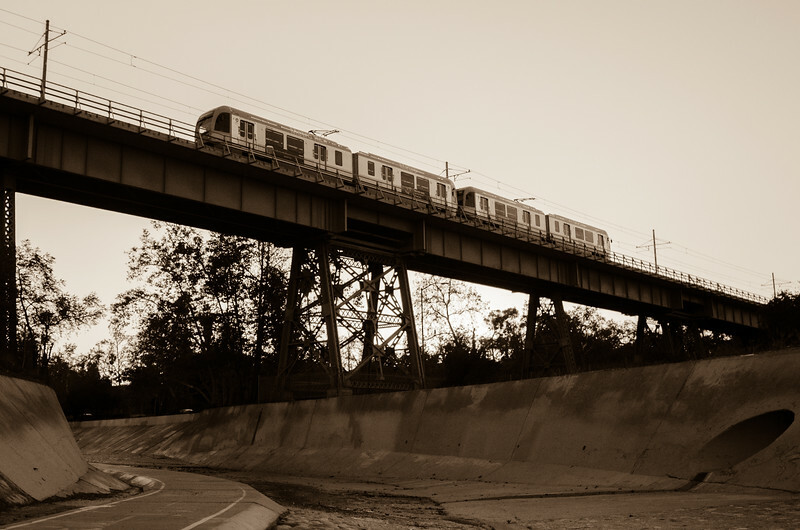 The train, btw, is the Gold Line that runs between East Los Angeles and Pasadena with a swing enroute through downtown Los Angeles. See more photos from that afternoon and evening in this gallery on my SmugMug site.